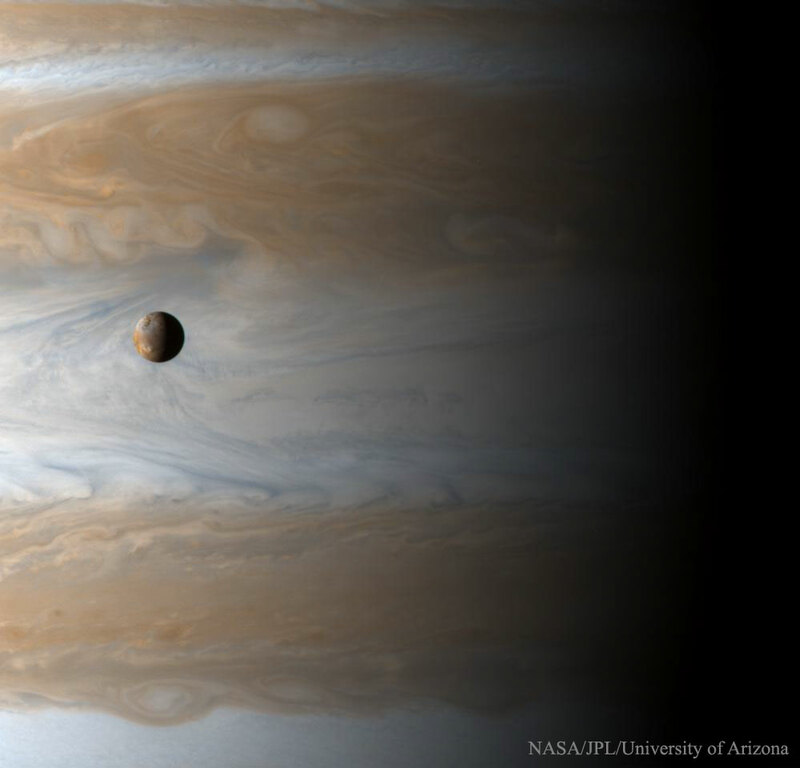 Explanation: How big is Jupiter's moon Io? The most volcanic body in the Solar System, Io (usually pronounced "EYE-oh") is 3,600 kilometers in diameter, about the size of planet Earth's single large natural satellite. Gliding past Jupiter at the turn of the millennium, the Cassini spacecraft captured this awe inspiring view of active Io with the largest gas giant as a backdrop, offering a stunning demonstration of the ruling planet's relative size. Although in the featured picture Io appears to be located just in front of the swirling Jovian clouds, Io hurtles around its orbit once every 42 hours at a distance of 420,000 kilometers or so from the center of Jupiter. 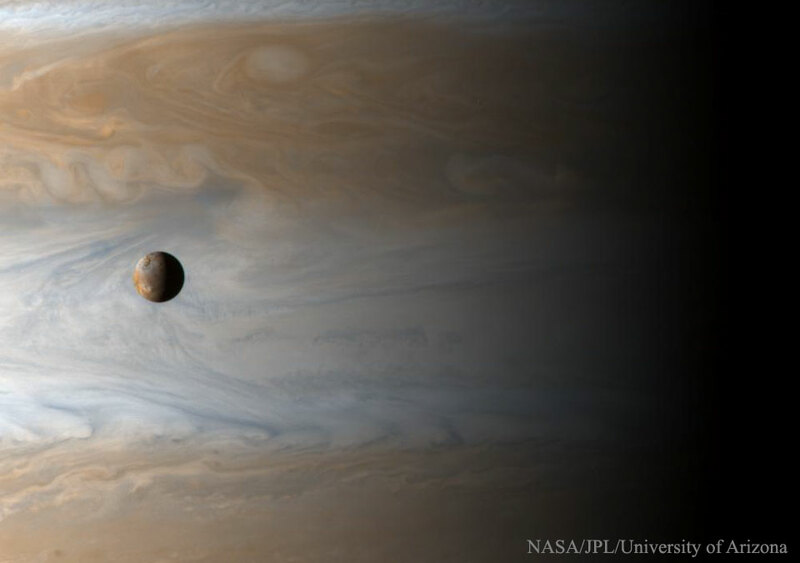 That puts Io nearly 350,000 kilometers above Jupiter's cloud tops, roughly equivalent to the distance between Earth and Moon. In July, NASA's Juno satellite began orbiting Jupiter and will sometimes swoop to within 5,000 kilometers of Jupiter's cloud tops.